Ellinbank captain-coach Ben Spicer arrived in the competition like a bat out of hell, piling on big runs in the season’s opening rounds. And that form continued on Saturday, with a superb century – but yet it wasn’t quite enough for his side to keep its unbeaten streak alive. 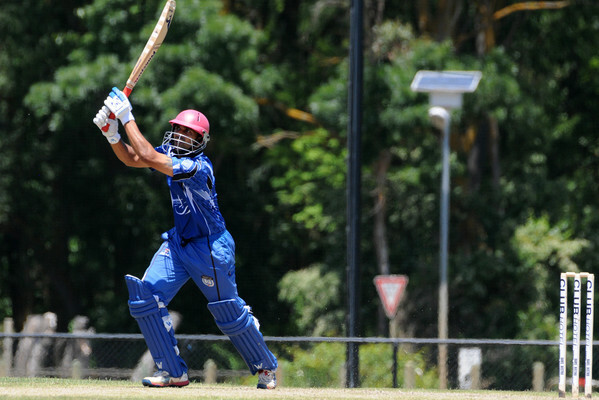 Instead, Drouin claimed the points in a brilliant last-grasp effort off the final ball of their clash in Ellinbank. Batting first, the Eagles amassed 6/214 from their 40 overs with Spicer (102) leading the charge. His 83-run stand for the first wicket with Matt Farthing (38) set the tone, while his 91-run partnership with great mate – and equally in-form – Nick Fairbank (45) capitalised. Still a string of middle-order wickets in the closing stages of the innings reduced what could have been a mammoth total to one that proved reachable. Brad Glover continued his strong wicket-taking form for the Hawks with 2/32 from his eight overs. Drouin stumbled badly in the early going of its reply – quickly sliding from 1/11 to 3/33 before Sam Wyatt (78) and Trevor Gardiner (46) got the ship back on course courtesy of a 125-run stand. The feat was even more impressive than it seemed on paper, given Wyatt’s previously indifferent form this campaign and Gardiner’s return from an injury layoff. But from 4/158 the Hawks stumbled again, this time sliding to 7/185 before Jake Harper (27 not out) and Dale Weller (7 not out) steered them home on literally the last ball of the contest to ultimately win by three wickets (7/215) – a famous result for the club’s faithful. Western Park, meanwhile, took Jindivick to the cleaners in their clash at home. After losing the toss and being sent in to bat, the Warriors cashed in with a dominant display with the willow – amassing a mammoth 6/300 from their 40 overs on a lightning-fast outfield. After losing Jason Croft leg-before to Hussain Ali with the score just 1/16, the home side responded in emphatic fashion by way of a 155-run stand between Sanjaya Gangodawila (109) and Matt Wakefield (69). Each had capitalised on the strong form they took into the contest, with Gangodawila particularly imposing – facing just 87 deliveries in his superb knock. Leigh Diston (43) also added telling runs against a bowling attack that clearly had no answer. Ali was the lone multiple wicket-taker for the Jumping Jacks, claiming 3/38. Jindivick was on the back foot from the outset in its chase – dismissed for just 131 in the 32nd over with Ali (32) his side’s lone batsman to pass 20. Joel Batson (3/16) and Liam O’Connor (3/12) claimed three wickets apiece. Yarragon, meanwhile, affected an upset for the ages at Dowton Park against Hallora. And the stunning result came courtesy of a simply brilliant all-around performance from Nuwan Perera. He anchored the Panthers’ innings after they won the toss and elected to bat – scoring an unbeaten 116 of his side’s 4/221, with Gayan De Silva (44) and skipper Gamini Kumara (28) also contributing handily to the cause. But Perera’s biggest impact was arguably felt with ball in hand as he capped off an incredible performance with 5/42 from his eight overs to steer his side to a 10-run win. Hallora’s batsmen (9/211) were made to rue a series of promising starts that weren’t capitalised upon, with James Vela top-scoring with 59, while Sam Whibley and Fraser Duncan added 36 and 32 respectively. The Kangaroos have now dropped three of their first five completed games to start the season and are clinging to a top four spot for dear life. In the remaining game of the Division 1 round, Buln Buln made it three straight wins since the Round 3 washout – comfortably defeating Neerim District at home to leave the Stags winless through the first six rounds. Batting first, the Lyrebirds got off to a shaky start – at one stage sliding to 3/47 and then 4/61 before Callum Stewart (60) and Corey Jagoe (77) steadied with a 128-run stand. Playing his first game of the season for Buln Buln on Saturday, former English County player and two-time Lyrebirds premiership player Stewart showed exactly why he looms as such a key to the side’s chances of going back-to-back for the third time in 15 years. He and Jagoe – who pummelled 10 boundaries, including four sixes – were instrumental in Buln’s middle-order recovery. That’s the thing with the Lyrebirds – they boast the depth with both bat and ball to dig their way out of all sorts of sticky situations. They ultimately reached 8/230 from their 40 overs, with Kody Wilson the star with the ball for the Stags – claiming an impressive 3/25 from his eight overs. The visitors got off to a particularly promising start to their reply, with openers Jackson Ward (49) and Nathan Bayne (34) combining for a 72-run stand before Bryce Monahan removed them both. That triggered a collapse of sorts, particularly after Ward fell at 2/93, as the visitors were dismissed for 170 in the 39th over. Monahan finished with 3/26, while Ryan Bishop claimed 3/48.